Deal: Get £5 off when you buy a 1 month subscription with code ‘£5FULLSTOP’ or £15 off your first 3 month subscription with code £15FULLSTOP’ at checkout! 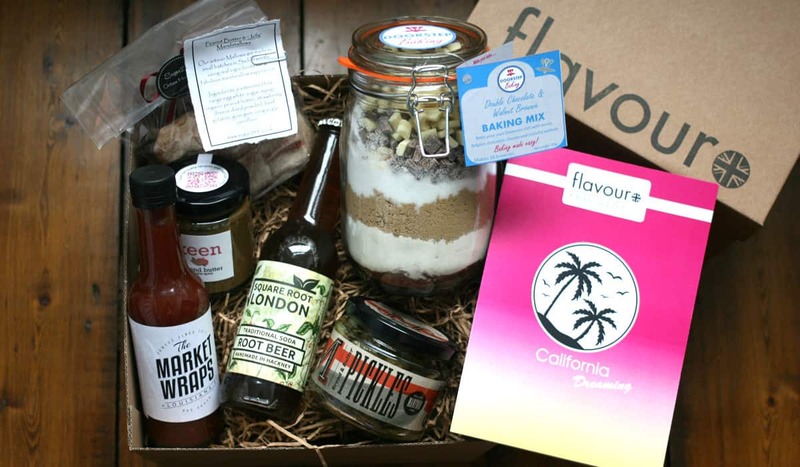 The flavour full stop company is dedicated to providing a box full of artisan foods. The booklet that comes with the box is impeccably put together and almost has the feeling of your favourite magazine running through it. Each month they do a themed box and source the goods from around the UK. 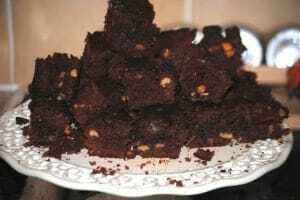 It even has 2 lovely recipes on the back using a few of the ingredients from the box. FFS doesn’t put prices of the goods on their brochure, but they provide the links to each of the businesses so that you can purchase more of their food if you want. It’s all about promoting British companies. This is absolutely amazing! So ridiculously easy to use and really easy when you’re in a tight spot and you need to whip up a yummy snack ASAP! Also, Such a great present for anyone. Busy mums especially, I’m sure they still want to impress with their baking skills, they just haven’t got the time! I made mine for a friends birthday in work, they went in seconds. 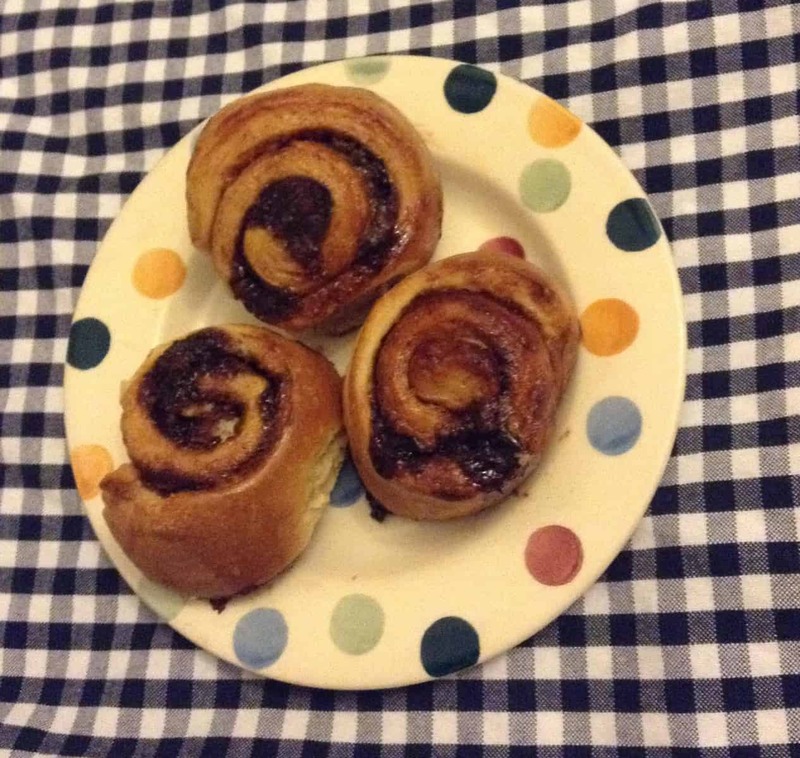 Before they went though, me and my boyfriend had a sneaky bite of these when they were still warm. Absolutely delicious! If I was choosing I’d definitely choose one without nuts, but otherwise, absolutely great! 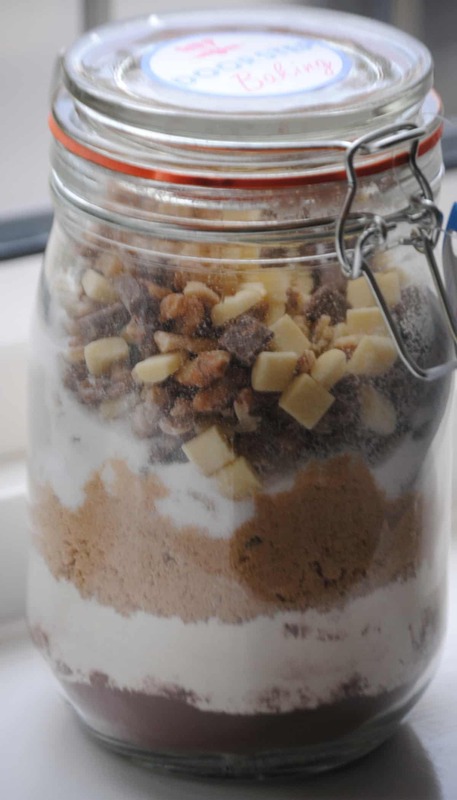 And, I get a jar out of it – result! Impromptu Christmas decoration? I think so! Homemade sauce is the best, and you certainly get the feel of it from this. But all the taste of the best sauces around. As a veggie I knew I wouldn’t get much use out of it, but me and my other half found an ingenious way to make it work. Bacon Sandwiches. His were real, mine were quorn and they went down a treat! A real change from Tomato sauce or brown sauce, the perfect authentic taste of BBQ on your bacon! I am not a huge fan of Almond butter after a short Paleo stint, however, this was absolutely delicious in my porridge! A teaspoon of this in plain porridge is an absolute delight. And for those of you avoiding peanut butter, this is a more flavoured almond butter with the added streak of pumpkin running through it. What can I say? A really truly traditional root beer that tastes great whatever the weather outside! Ingenious. These were the softest, lightest but most flavoursome marshmallow I have ever tasted. And I love marshmallow. The best bit for me about this is that it tasted handmade. It didn’t taste or feel like a mass produced product, it was a little bite of a fluffy cloud. I must confess I can’t do this one any justice. Me and my partner dislike pickles so we couldn’t test them out. However, we found a willing subject in my dad (AKA the dustbin) and this was right up his street. He said he could literally add them to any kind of sandwich. Hot, Cold, Bun, Roll, Sliced bread and the list goes on. Not only that but they are helpfully cut down into perfectly easy cocktail stick dipping sixe! (yes, he ate them on their own…) Hot dogs, Cheese Sandwiches and burgers galore! Although the value for money is very high in this box I have to admit that it’s for those on a budget. Starting at £30 per box, the food is all about quantity, but not for those looking for a cheaper monthly commitment. The shipping is an additional £5, which for those on a tight budget may seem a little steep. But the box is packaged unbelievably well, with no products damaged, and the box is really quite heavy! There’s a slight emphasis on the financials here but I can’t emphasise enough is how truly worth it these boxes are. I would score the product quality here 5/5 and it would be without a doubt the easiest 5 I’ve ever given. Would I subscribe to this? Maybe one day! When I can afford the £30 on a regular basis I absolutely would. The gifts are so lovely and it really is a way to get the smaller but most beautiful British companies out there. 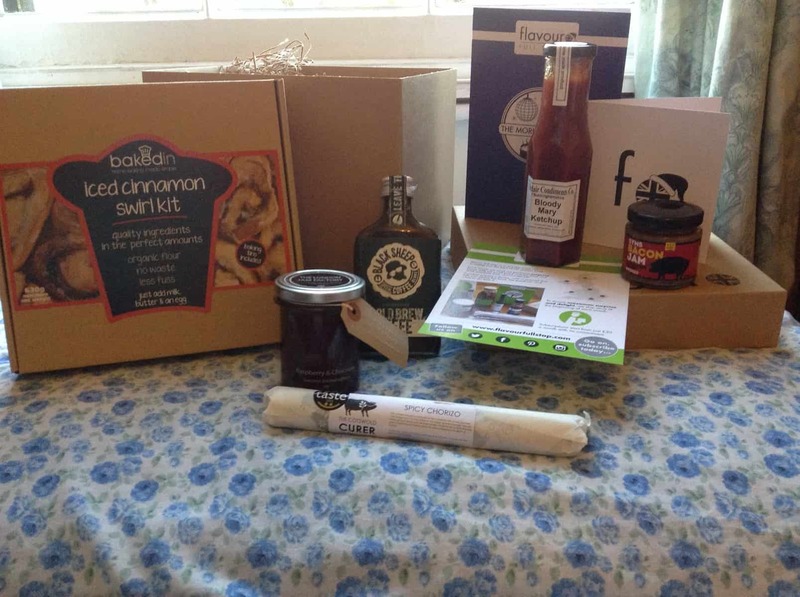 Now I’m a big fan of food boxes, so this was always going to be a winner for me. So, I thought we’d do a review as a family to give a little more balance. If you’re considering buying a box as a gift, quality is always going to be paramount. There is definitely no concern with the flavour full stop box. It’s a lovely big box beautifully packaged and heavy (which is always a good sign!). There are no small samples in the box, everything is full sized, there’s also an accompanying card, detailing each products history and from where they are sourced. The box I’ve received is titled ‘The Morning After’. I’d no idea what was in store, as my clubbing days are long behind me! The thought of sausage an egg muffins with a side of Lucozade and some paracetamol didn’t excite me. However, the folks at flavour full stop offer a delectable selection of treats, that don’t necessitate a hangover to appreciate. * Black Sheep Coffee Concentrate Cold Brew Coffee: This is gorgeous! So smooth with none of the grainy aftertaste. Steve, still fancies himself as a party animal and can vouch for the relief given from this caffeine elixir. 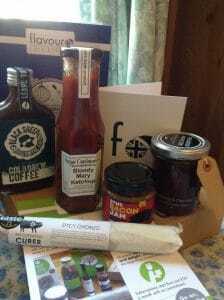 * The Cotswold Curer Spicy Chorizo: As a family we all love chorizo, so a definite thumbs up. There’s a lovely recipe provided for Huevos Revueltos Wraps, but in all honesty ours didn’t last long enough to try it out! We just wolfed it down with a selection of antipasto and then added the rest to homemade paella. Rich, smokey and delicious. * The London Jam Factory, Raspberry and Chocolate Jam: 2yr old Milo is this preserve’s biggest fan. 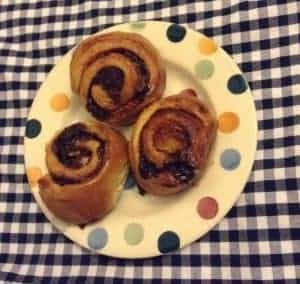 Again, there’s an accompanying recipe to try, for Raspberry and Chocolate Croissants, which we can state are to die for. Milo also loves this on toast as a treat. * Syms Pantry Smoked Bacon Jam: Oh yes, you read that correctly Bacon Jam! I know it sounds like a Peter Kay line ( Garlic? Bread?! ), but it’s true, a bacon sandwich without the hassle of grilling it or the washing up after. Certainly a bonus if you do have a hangover, or late night munchies! It tastes just as good too! Steve usually comes home from work after 11pm and is starving… he’s loved this in a toastie with cheese and tomato. 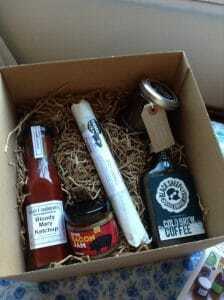 * Sinclair Condiments Co. Bloody Mary Ketchup: Woo hoo!! This has a kick and is now a firm favourite. 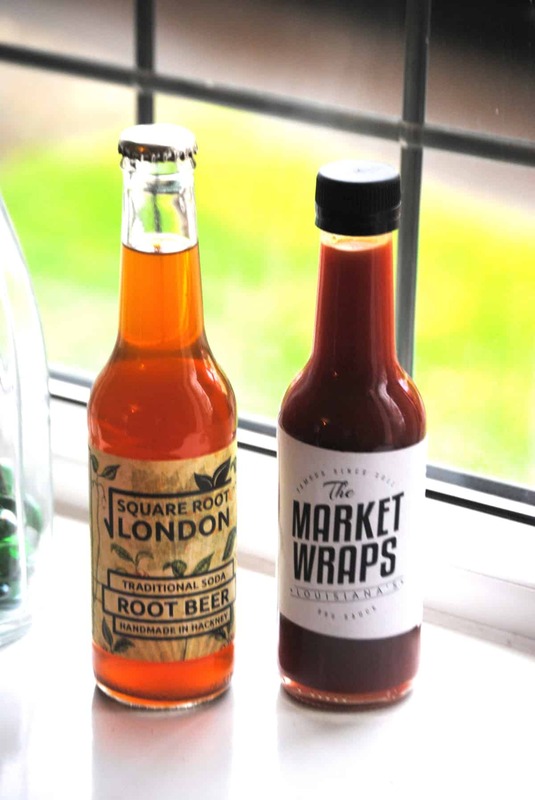 It will spice up any dish or snack and ideal for the morning after fry-up. 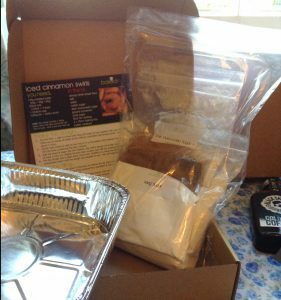 * Bakedin Iced Cinnamon Swirl Kit: I’d never heard of these kits before, and the kids were eager to try them out. So, I thought I’d let them, and put my feet up! The ingredients are all measured out and the kit even contains foil baking trays, so very little clean up is required. You just add eggs and butter, it’s really that simple. There’s a step by step guide that the children found easy to follow. The results were yummy, everyone enjoyed them and they looked great. Plus, the house smelt amazing! I would imagine if your nursing a hangover and expecting guests these are a godsend… likewise a fab cupboard staple for hungry little ones. Overall this box is brilliant. I’d have no hesitation in ordering one for a gift. No matter who the recipient, they don’t need to be a foodie, or a great cook. 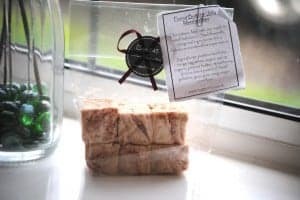 It’s great value as a family present, rather than a hamper that may contain random items that will stay in the cupboard til the harvest festival donations are required! flavour full stop is a monthly food club bringing you the best artisan food in the UK. 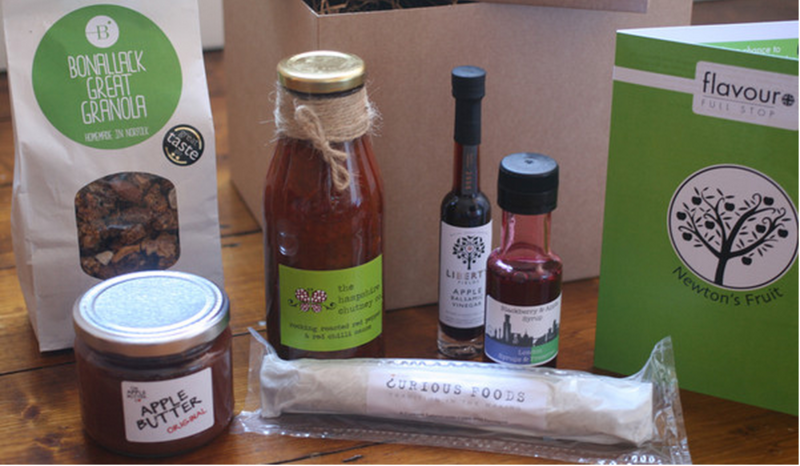 Each month we send out exclusive surprise boxes with six small batch artisan food and drink products from around the UK. Curated around a theme, with a manual that tells you about the food, the producer and what to do with it. To ensure maximum surprise and delight, we ship once at the beginning of each month. Subscriptions start from just £30 a month with no commitment. From £30 per month, including free delivery to the UK. £5 off when you buy a one month subscription – code ‘£5FULLSTOP’ – only £25! £15 off when you buy a three month subscription – code ‘£15FULLSTOP’ – only £75! How would you rate flavour full stop ?